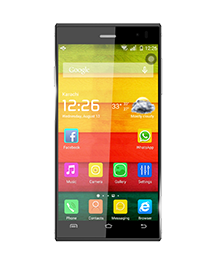 This is the deal you want to score if you need a Smartphone with a wide screen display. 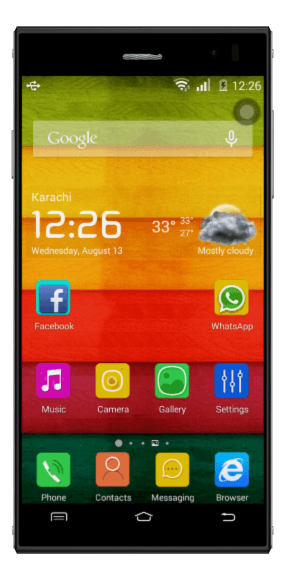 Running on an Android 4.4 Kit Kat, and a 1.3 GHz Quad-core processor, Voice X3’s 4.5-inch display lets you see the bigger picture. For the first time Voice Mobile has incorporated the HotKnot feature in Voice X3 which lets you share content to another Smartphone just by touching your Smartphone’s screen with the screen of another Smartphone into which you want to share content. You can now view your favorite videos and movies with ease and with a 2,000 mAh battery; there is no stress to save battery life. Supporting up to 32 GB of external memory, 1 GB RAM and 8 GB ROM will ensure faster downloading. 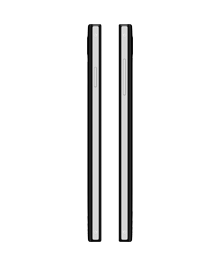 You can also capture sharper images with the 8 megapixel rear camera and a 2 megapixel front camera. 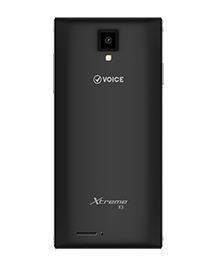 Voice X3’s bigger screen gives you better fun so you can enjoy life everyda. X3 runs on a 1.3 GHz Quad Core processor that delivers exceptional graphics so you can experience the thrill of playing games on its 4.5-inch FWVGA display screen. X3’s 1 GB RAM and an 8 GB ROM adds that needed power to its processor so you can indulge in a smooth gaming experience without any glitches. 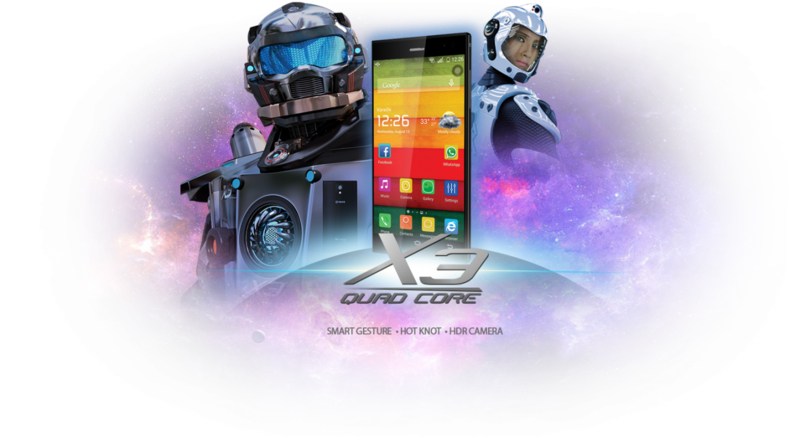 Sharing files is always easy with Voice Mobile’s X3 Quad Core. Forget about searching for a device because with X3’s HotKnot technology, you just have to touch your handset’s screen with the screen of the handset in which you want to transfer the file; and X3 will do the rest. X3 Quad Core’s 8 MP rear camera and 2 MP front camera lets you click, save, and share your happy moments in an instant. The image and video quality are so clear that you can use your HDR camera to shoot documentaries and create portfolios.